Chocolate lovers rejoice! 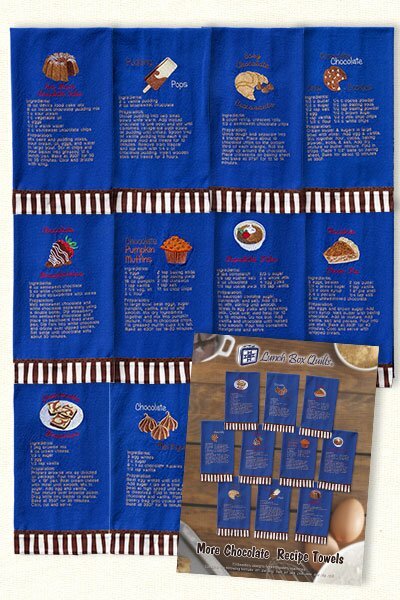 This collection contains 10 all new chocolate recipe embroidery designs. Instructions to add a coordinating fabric band are included. This collection replaces the very popular Chocolate Recipe Collections which is no longer available.